Rob Cesternino and Antonio Mazzaro reunite to preview this weekend 2-night series premiere event of “Better Call Saul” on AMC. It’s the Better Call Saul Series Premiere Podcast you’re been waiting for! To get you ready for the brand new series which premiers of February 8th and 9th on AMC at 10 pm ET, Rob and Antonio share what they’ve learned about the prequel to “Breaking Bad”. Rob and Antonio both have very high expectations since Vince Gilligan will again be at the helm of “Better Call Saul”. In the hands of anybody else, Rob and Antonio would have had some major reservations but feel like there’s no way Vince Gilligan can screw this up. The show will take place several years before the events of the premiere of “Breaking Bad” at a time when Saul’s character is not yet the sleazy lawyer we know and love from “Breaking Bad”. 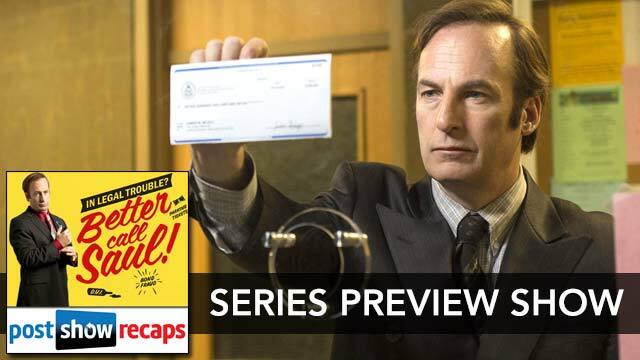 Saul is actually known as Jimmy McGill at the start of the series and will take on the Saul Goodman moniker at a later point. In addition to Bob Odenkirk as Saul Goodman, Jonathan Banks will also return to reprise his role as Mike Ehrmantraut in the series. Plus, we will also have Michael McKeon as a principal in the cast playing the brother of Saul / Jimmy McGill in the series. 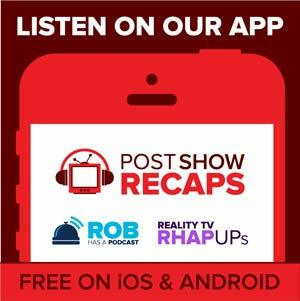 Rob and Antonio still don’t know what the tone of the show will ultimately be. Will “Breaking Bad” fans be disappointed if “Better Call Saul” isn’t the fast-paced thrill ride that we came to expect from Walter White and Jesse Pinkman. We probably won’t know the answers to these questions for some time but we’ll start to learn a lot more after this weekend’s two-night premiere on AMC.